damage/injury/loss caused as a result of the steps taken here. 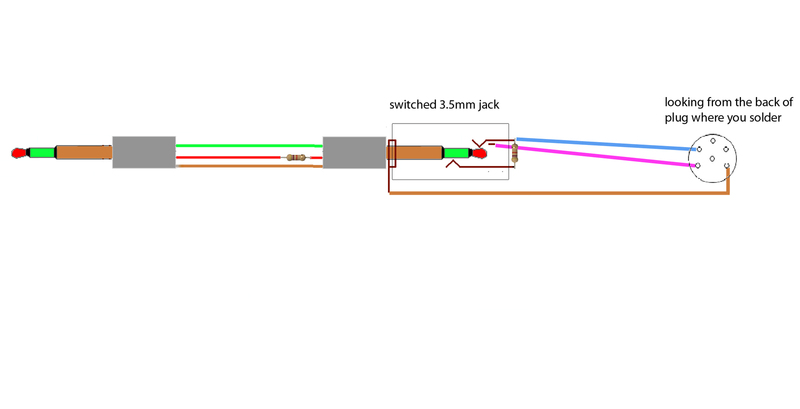 This is a guide to building your own cable for din to 3.5mm iPod jack. 2) splice in one of the 4.7K Ohm resistors, insulate the splice with heatshrink tubing or electrical tape. Make sure you reconnect the ground shielding wires also. 3) Next solder the ground wire shown in brown to the ground pin on the 3.5mm switched jack and to the ground pin of the DIN line plug. Shown in brown. 4) Solder the other 4.7K ohm resistor between the left and right change jacks on the 3.5mm switched jack. And solder the wire shown in Blue which is the input to the pin on the DIN line plug. 5) Solder the wire shown in Pink to the switch point on the 3.5mm switched jack and to the Din line plug. With the 3.5mm plug inserted, both left and right channels are merged with a 4.7K Ohm resistance placed on each channel, the Blue and Pink wires are open circuited, this puts the radio into accept auxiliary input mode and the tuner is switched off and the input signal from the 3.5mm jack is played. 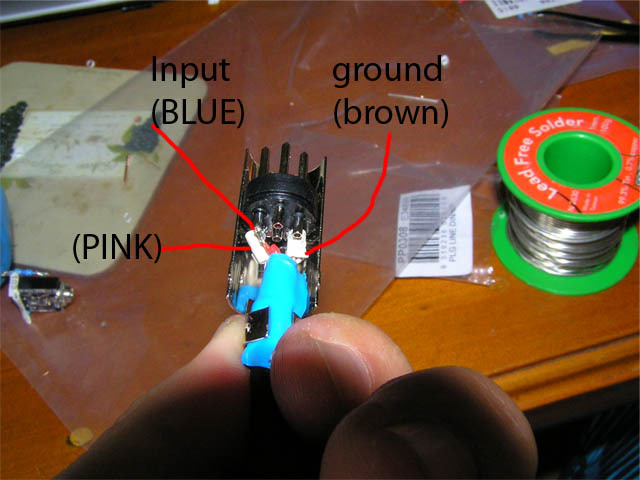 When the 3.5mm plug is removed from the switched jack it causes the Blue and Pink wires to short, this is the same function and placing the shorting plug into the back of the radio. This effectively puts the radio back in tuner mode and you can pick up radio stations. Do not use your hacked male-male 3.5mm lead with any other system. For added safety I generally switch the radio off before pulling the 3.5mm lead, then just switch it back on to start listening to the radio. You follow this guide at your own risk, i take no responsibility for any damage/injury/loss caused as a result of the steps taken here. It works brilliantly on my Blaupunkt Lubeck MY 72. Now I only have to pick the right music to complement the sound of my 2.4E. Would no matter what Aux cable you use. 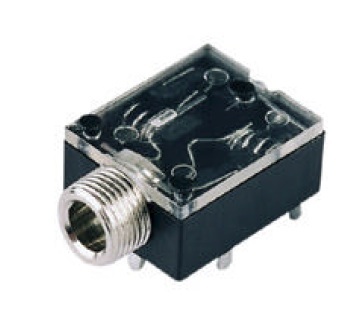 The resistors are in the DIN connector which is always installed on the radio. Here is one I just built for my Becker radio. It is switchable between radio and iPod. It provides line level inputs and charge for the iPod. Here is the info on DIN pinouts. The iPod cable came form an eBay seller. Will this cable also work with a Grundig Weltklang 4600VD mono radio with a 6 pin DIN connector? The Mono version at the top of the post will work as long at the 6 pin is an input. This is very illuminating. Thanks! I think the pinout of the DIN connector will vary from radio to radio. I can see how to do this on my Frankfurt US model, but the pinout is definitely different. 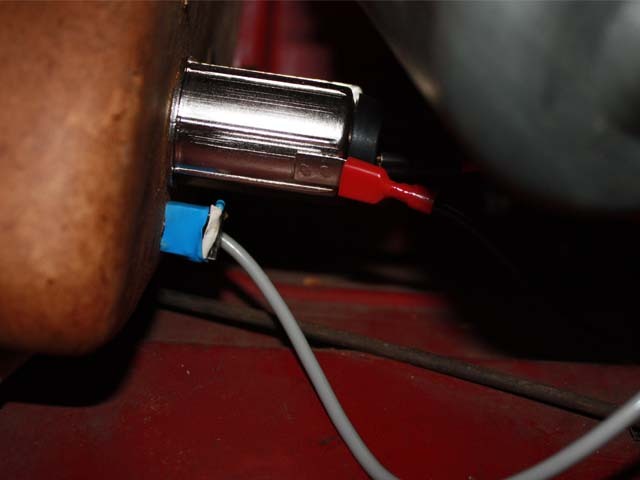 On mine, there is a wire jumper behind the socket that will need to be cut. There is no shorting plug, so I will have to make one. I see the reason the resistor is inserted into the cable. 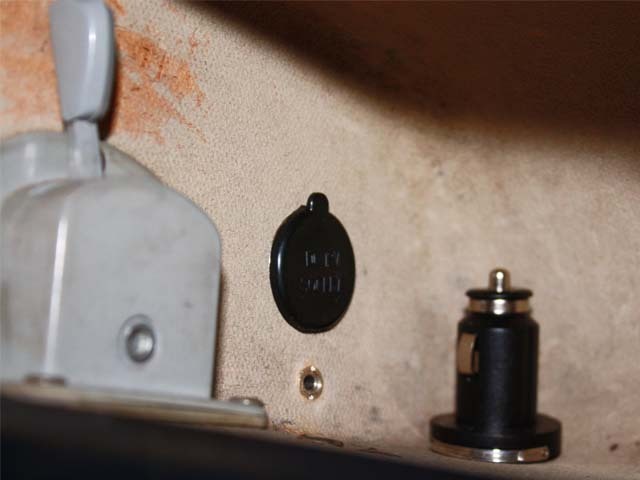 That's so the switched pins can reconnect the internal receiver to the PA. In fact, if you used a smaller resistor, you could put one of them in the blue wire between the switched jack and the DIN. The other resistor will connect to that one in a Y-configuration. 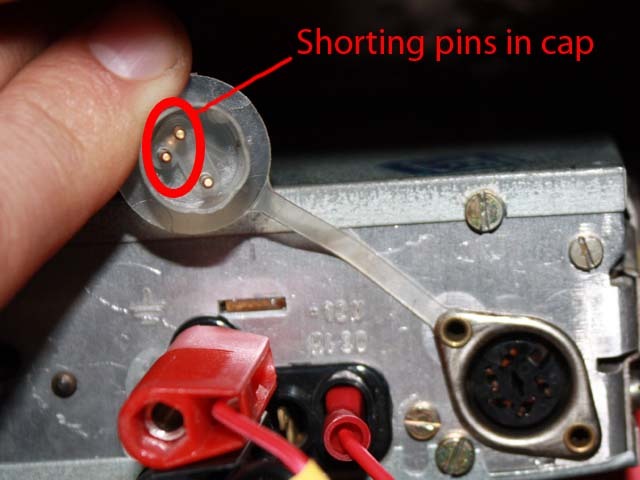 When you pull the 3.5mm plug out, there will be a resistor between the pins that are supposed to be shorted. With a resistor around 100 Ohms, they will act just like they are shorted. You won't lose any radio signal. That means that the two resistors will sum at the input of the DIN when the 3.5mm plug is inserted. That way, you can use a standard 3.5mm cable with no mods.